Madrid also has its tradition of ghosts. Most, of course, live in buildings and emblematic places, some of which are very close to El Anciano Rey de los Vinos, like the ones in the Palacio Real that we talked about in a previous post. So to help you plan a ghostly tour of Madrid, in this and later posts we will talk about the most famous ghosts in the city. The Reina Sofia Museum. For a long time the security guards talked about voices, lifts that worked alone, doors that opened and closed, or alarms that jumped for no reason. Apparently everything is due to the construction of the building on a cemetery. When the building later became the current museum, mummified corpses were found in an old chapel. The severed head. Not far from El Anciano Rey is the street of La Cabeza, named after a macabre story. A butler murdered his lord, a priest, who cut off his head. The servant fled to return years later as a wealthy man. To celebrate, he acquired a ram’s head, which was a delicacy in those times. But a sheriff stopped him because of the trail of blood he was leaving. However, upon showing it, what appeared was the severed head of the priest. The House of the Seven Chimneys. 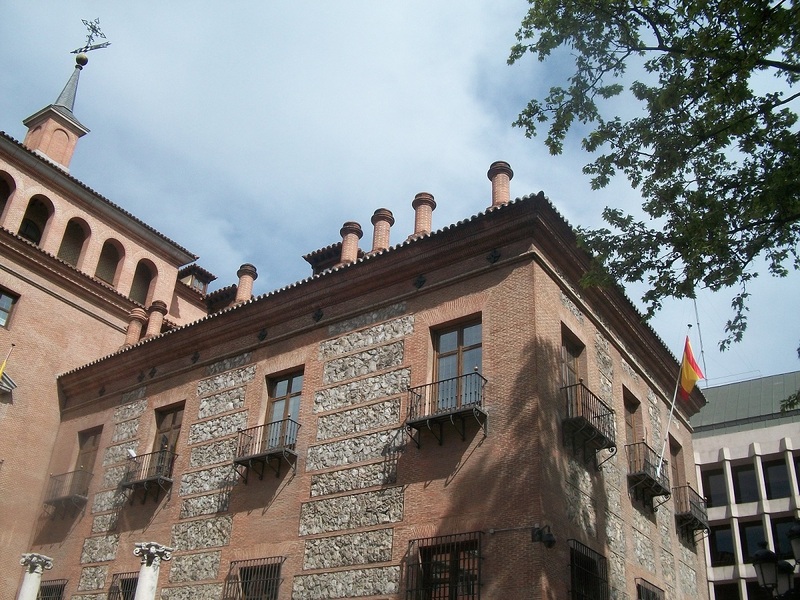 This house, also located in the surroundings of El Anciano Rey, currently houses the Ministry of Culture. But it also houses a ghost that runs through its rooms and has a name: Elena. We do not know very well why she feels so attached to the house, as there are several versions, but the fact is that from time to time there is talk of the presence of Elena in such a symbolic building. The Palace of Linares. This magnificent building facing La Cibeles now houses the La Casa de America, but also has its own ghost: Raimunda. It is a girl who was the result of an incestuous relationship and, to avoid scandal, was killed. Since then she seems to be walking through the palace singing and calling his parents. The Prince’s Street. On this street lived a woman whose boyfriend, an army lieutenant, had to enlist on a ship of the infamous “Armada Invincible”. Before leaving, he said that if he was killed in battle she would know before anyone else. Months later a current of air entered the bedroom of the maid, opening a desk in a very strange way. Very soon after, the news of the lieutenant’s death arrived. And you know, if you dare to do this particular Madrid tour, do not forget to visit El Anciano Rey de los Vinos. We do not know if you will see ghosts or not, but sure you will enjoy a great gastronomic experience.